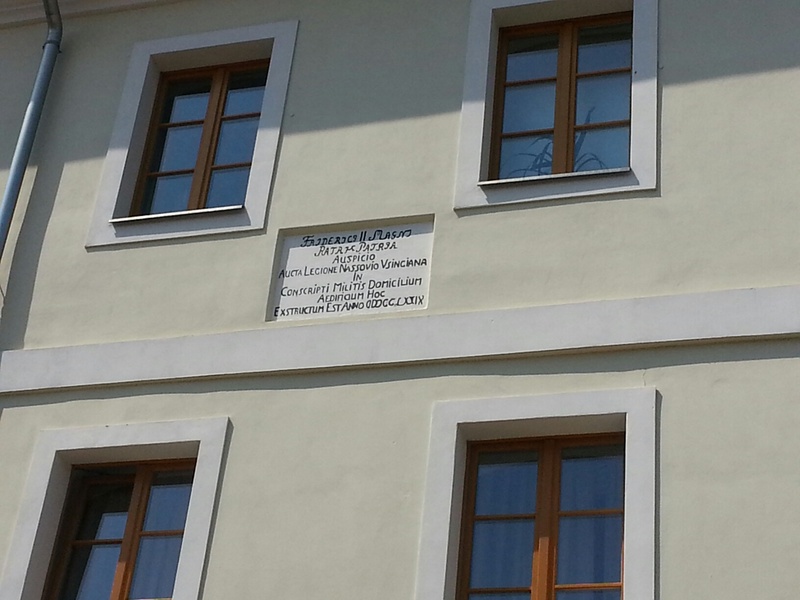 « Where did Carl and Marie von Clausewitz live in Berlin? I went to Burg by Magdeburg to learn more about Carl von Clausewitz’s family and background. When Peter Paret wrote his biography Clausewitz and the State in the 1960s and 1970s, the German Democratic Republic and the Berlin Wall were still very real. So, as a source for his description, Paret mainly used Theodore Fontane’s witty but notoriously cruel description of the town as a provincial nest with sheepish citizens. In this regard, I am obviously luckier since I could go and see the town for myself. The trip from Magdeburg (the capital of Saxony-Anhalt) to Burg takes just ten minutes with the local train, from Berlin it is approximately two hours. Burg has almost 24,000 citizens. The Bundeswehr military base in its vicinity is named (what else?) Clausewitz-Kaserne. The town is a picturesque mixture of different times and styles. There are quaint medieval towers, barracks built by Frederick the Great, renovated Art Nouveau buildings, romantic Fachwerk houses, and of course uninspiring socialist housing blocks. 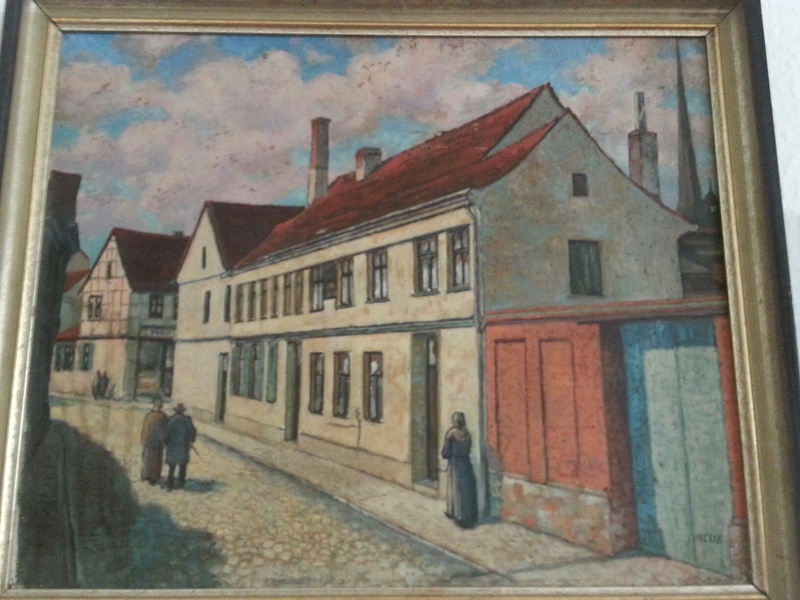 Klaus Möbius, the curator of Clausewitz Museum who was my guide in Burg, showed me his backyard bordering nowadays on the medieval wall of the town. On some of the streets where the tires of his car fought particularly hard the uneven cobblestones, he joked that the street pavement hasn’t been changed since the times when Clausewitz played on it. I will post later a separate text about the museum in his family house and Carl and Marie’s gravesite. I wanted however to share my impression from Burg first. The town is indeed small and not particularly dynamic. This is, of course, the reason why some parts have remained almost untouched from the times when the 12-year-old Carl von Clausewitz left Burg to join the Prussian Army. Yet I found the town nicer, cozier, and more interesting than I initially imagined it would be. Burg was no match for Clausewitz’s ambitious spirit and there could be no comparison with Dresden where his wife Marie spent her early childhood. The town however was from a backward provincial nest. After all, it welcomed throughout the ages refugees of religious persecution like Walloons and Huguenots; for their part, they brought to Burg new ideas. During his apothecary apprenticeship here Theodore Fontane wrote his first poems. Beside Clausewitz, one more famous writer was born in Burg – the passionate and unapologetic Brigitte Reimann. And Fontane apologized later to the citizens of Burg for writing those cruel verses. In this regard, Clausewitz was like so many other people born in small yet progressive towns. Their dreams were born there, only to be fulfilled in bigger and more dynamic cities. This entry was posted on July 30, 2013, 2:48 pm and is filed under Travel. You can follow any responses to this entry through RSS 2.0. You can leave a response, or trackback from your own site.